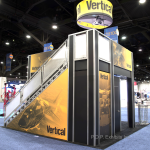 Top 5 Reasons to Rent a Display – P.O.P. Exhibits Inc. There are a ton of factors to get you weighing the pros and cons of renting vs purchasing your display. 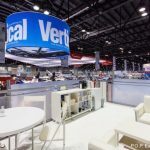 Whether it comes down to budget, time constraints, multiple shows at once, storage, or changing branding, the bottom line is that renting has become increasingly appealing to exhibitors for a variety of reasons. 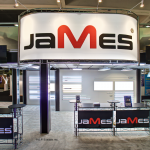 Below are some of the top reasons why renting a display could be right for you. Renting allows you to try different layouts, technology, sizes and design trends. 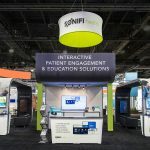 It can be difficult to know what will work until you get onto the show floor. 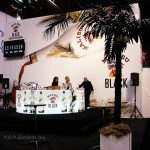 Renting a display gives you the opportunity to test a few different designs before committing to purchasing, if you decide purchasing is the right choice for you. 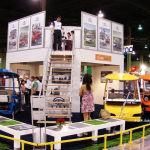 Renting a display allows you to show up at the show with the booth done and waiting for you. Then after the show you get to leave without worrying about all of the post-show details. 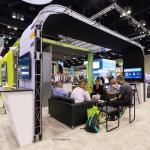 Your exhibit company will handle install, dismantle, shipping, storage and packing for you. Your time has a value. It’s very likely your time could be better spent not worrying about all of those details! If you own your exhibit but have multiple shows to attend at the same time, you’re left having to choose between them. 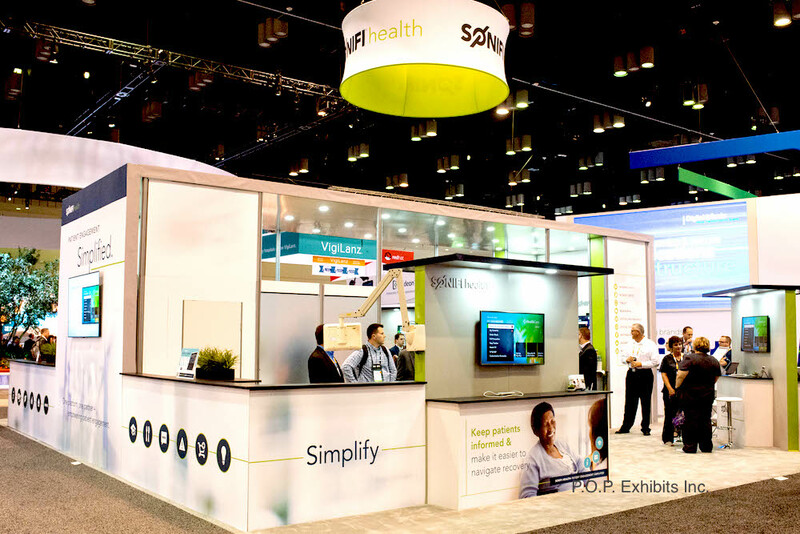 Renting your display gives you the ability to be in two (or more) places at once without compromising your message or the quality of your presence. Even if you find a design that works great for you at one show, your needs might be completely different at another. If you’ve purchased your display you’re locked into that design while renting allows you to be flexible. 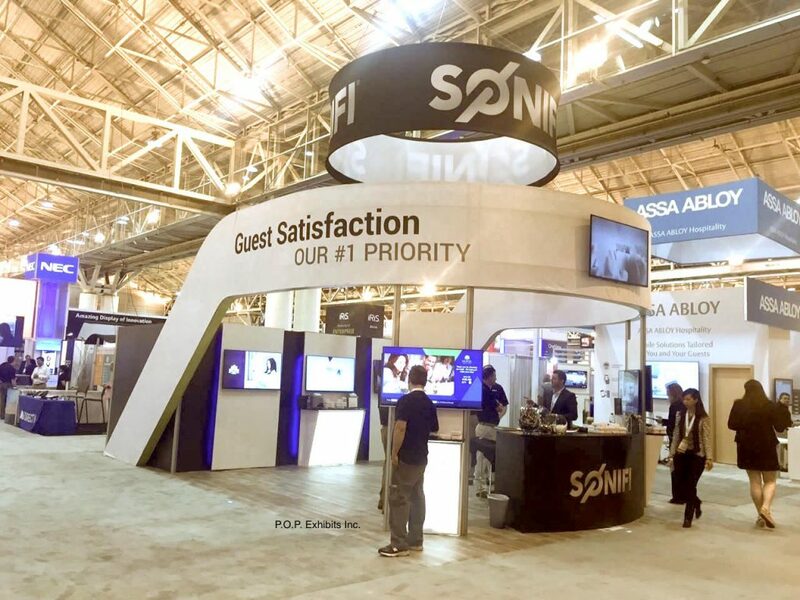 Renting a display allows you to customize your footprint, design and message from show to show allowing you to best utilize your square footage. The images below are the same company attending different shows in different years. Because they rent, they’re able to create the display that will suit them best at each show. 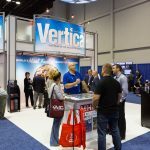 There are a lot of working parts to a trade show display including graphics, flooring, structure, technology, furniture, crates, and lighting. Do you have a climate controlled place to store all of those bulky things? Storage units can get spendy, as can shipping. 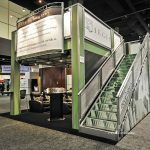 Your exhibit company will handle all of these details for you. We at P.O.P. 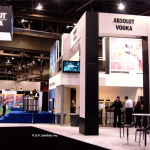 Exhibits Inc. look forward to helping you with all of your exhibit rental needs. Our goal is to make the entire process as easy as possible. Give us a call to get started.